Eliot Abbott has decades of experience in domestic, international, private and public business transactions in a variety of areas, including telecommunications, Internet commerce, real estate development and construction, international distribution and project finance. He advises clients on matters regarding planning, tax, contracts, financial and compensation planning, mergers and acquisitions, and exit strategies. Mr. Abbott also counsels senior and mezzanine lenders as well as equity participants regarding maximizing return on invested capital, borrower bankruptcy, negotiation and resolution of inter-creditor disputes, successor developer liability, and rights and responsibilities arising out of contracts held by developers. Mr. Abbott has been representing a small publicly held radiology group and its private subsidiary entities and their related partners and affiliates. He also has substantial experience in distribution agreements (both for domestic and international entities), including past experience with Snapple, and Coca-Cola and one of its bottlers. Additionally, he has worked with a group who had extensive negotiations with Coca-Cola regarding the opening of a bottling facility in Cuba. 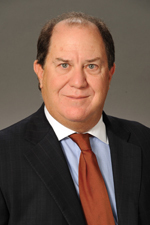 Mr. Abbott joined Hinshaw & Culbertson LLP in February 2010. Previously he was a partner in the Miami office of Ruden McClosky, and prior to that, he was a member of Kluger Peretz Kaplan & Berlin.